Save 15% with this coupon code from Bonding Bees. Shop sale at Bonding Bees for up to 60% off select plans. Check out Bonding Bees online for their latest special offers. 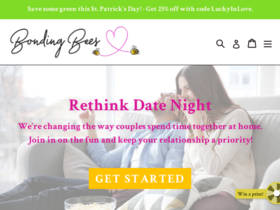 Sign up with Bonding Bees for date nights from as low as $19 per month.